Qliktech official visited Business Automation | Business Automation Ltd.
Mr. S Lakshmikanth, Partner Sales Director India Region of QlikTech India Pvt. Ltd. has visited Business Automation Ltd. during his official visit in Bangladesh from 24th September to 26th September 2011. This is the first official visit from Qliktech in Bangladesh. 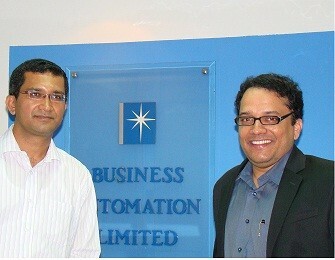 During this visit, he met with the number of customers using Qlikview, that are implemented by Business Automation. Business Automation is implementing Qlikview solutions in Bangladesh since 2009.